Roof Dimension: 3720mm x 9650mm. 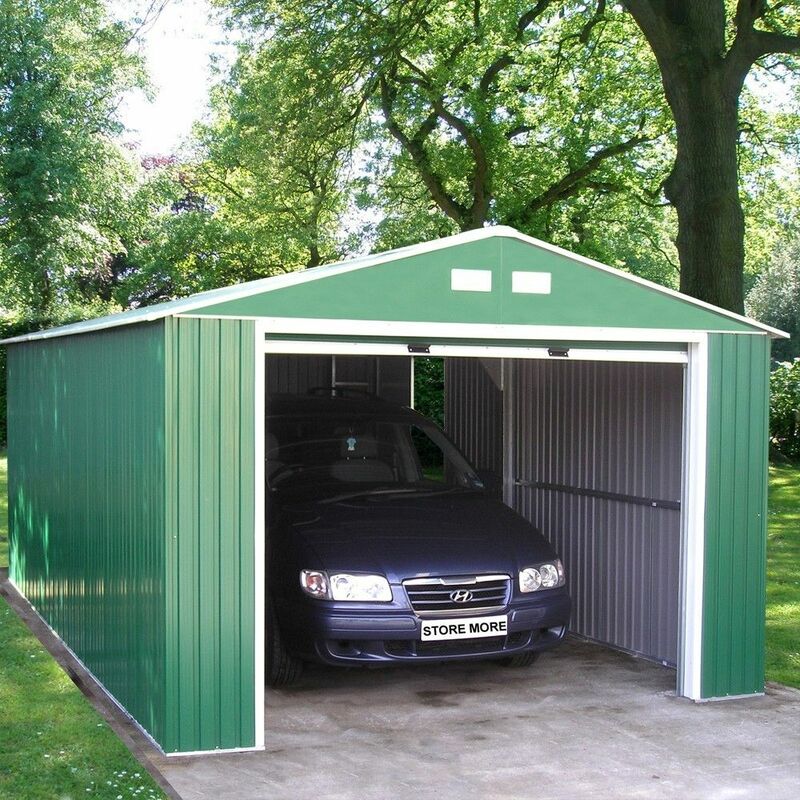 The Emerald Olympian 12x32 Metal Garage is a big sturdy, yet stylish building in which to store away your car, motorbikes, boat or kids bikes etc .Emerald Garages are designed to be completely maintenance free and are fire, rot and rodent resistant. 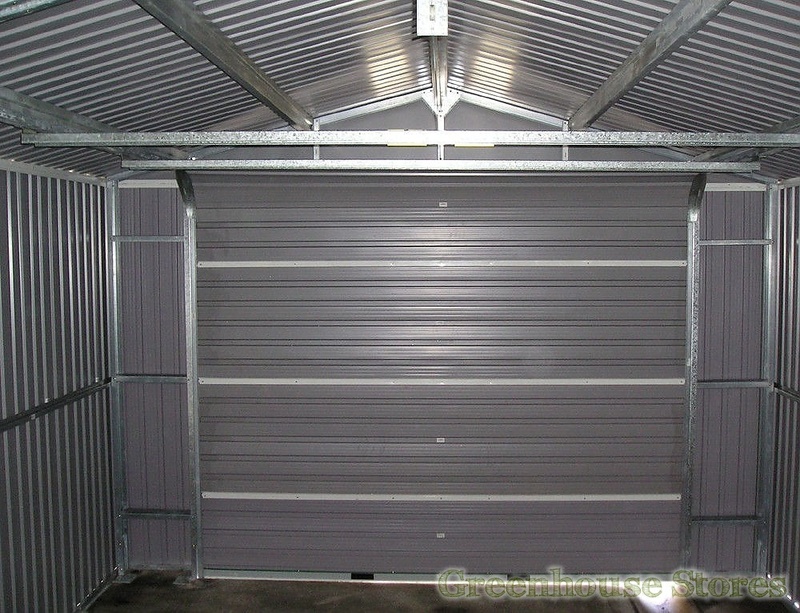 The Emerald Olympian 12x32 Metal Garage is constructed from a thick zinc coated galvanised steel framework that is 635mm thick and clad with high tensile galvanised steel sheet with powder coated deep green colour finish with contrasting white vents. There are two vent panels positioned high in the apex gable to ventilate the garage and prevent a buildup of condensation in the roof space that can cause a very damp atmosphere in lesser sheds. 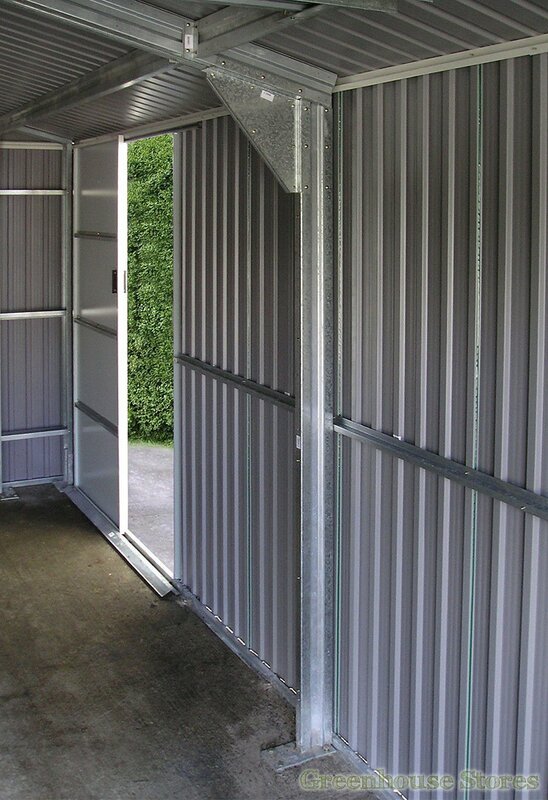 With all Emerald sheds, there is a 10 Year Warranty covering perforation rot on the Olympian 12x32 Metal Garage.